Rittenhouse Devon 310 Russel Wright Autograph Series. 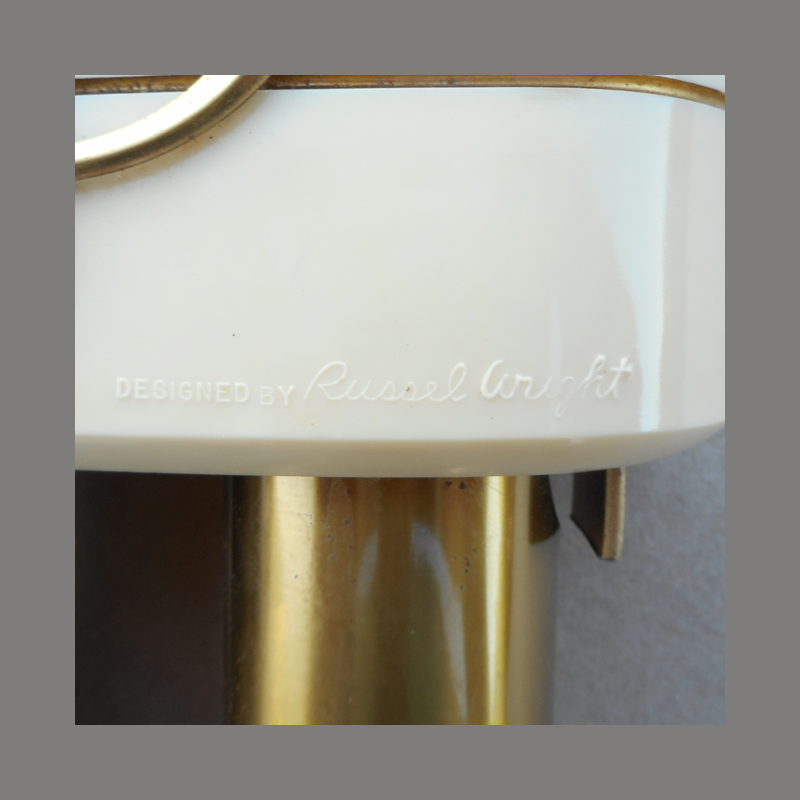 THE AUTOGRAPH SERIES BY RUSSEL WRIGHT—The Autograph Series of Rittenhouse Door Chimes comprises a group of models in strikingly new and original designs, by a man who knows what the public wants in the articles it buys for its homes. Mr. Wright has been notably successful in creating very unusual effects without sacrificing any practical element so essential to user satisfaction. 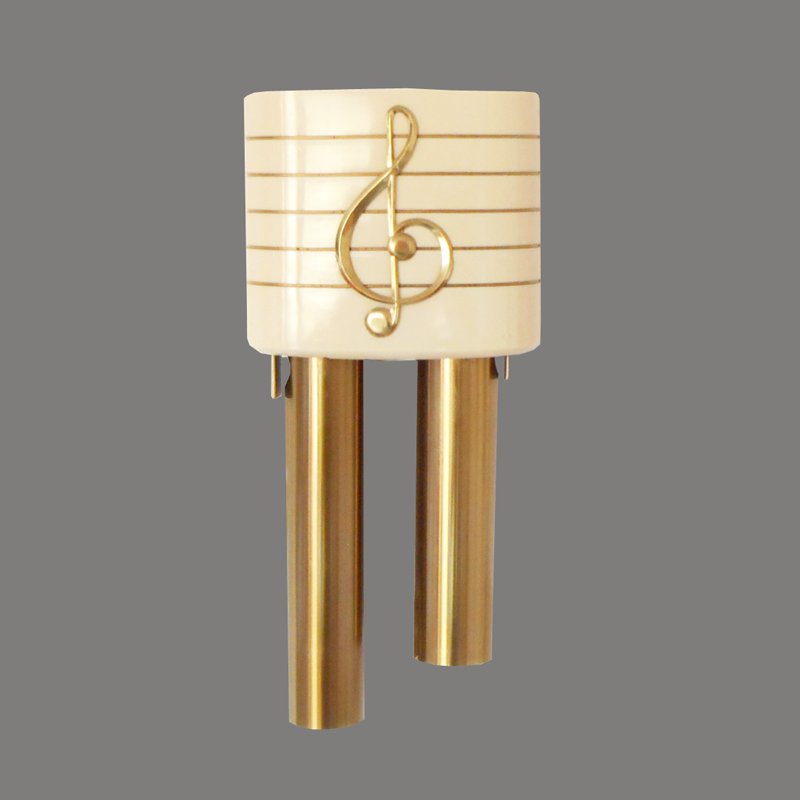 The 310 was furnished with an Ivory case with two brass resonators while the 310-B had a walnut colored case. 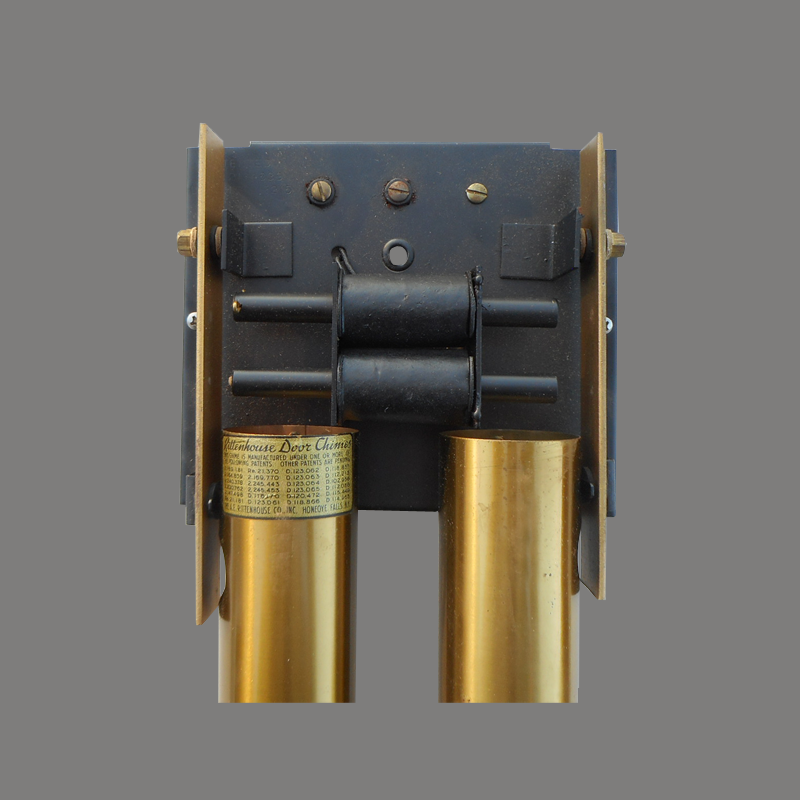 A Bevery multi-note resonator chime was also offered with the same covers. 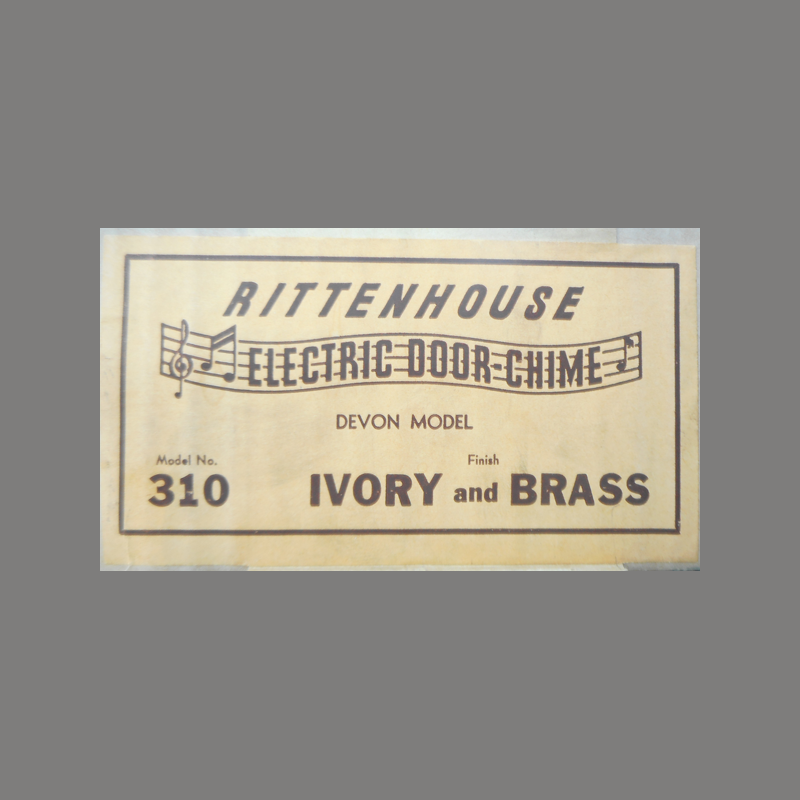 The original box indicates this chime was advertised in Good Housekeeping magazine. 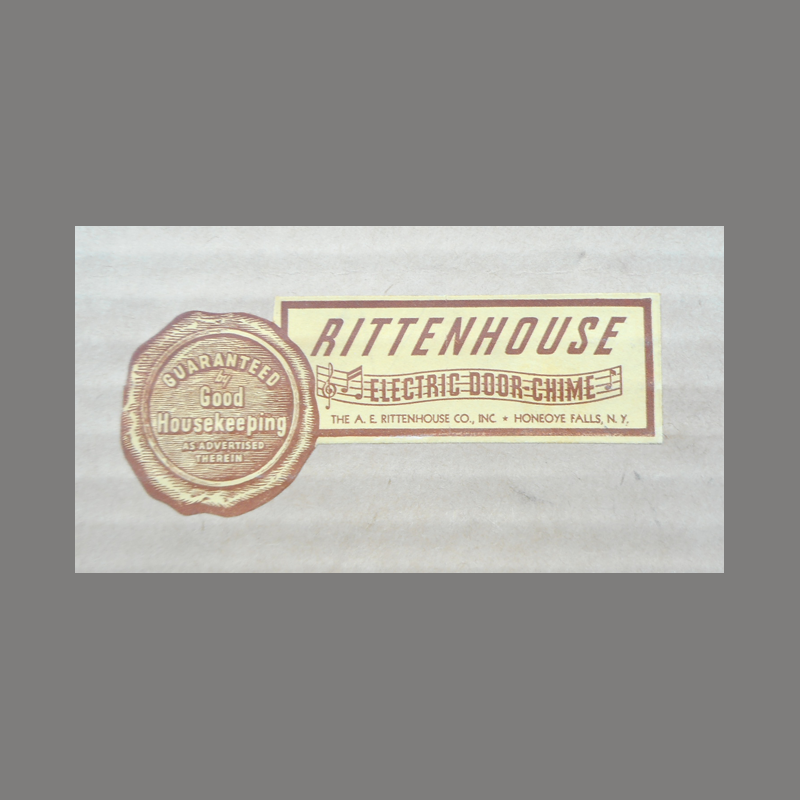 Note the early Good Housekeeping Seal.